Air conditioning units are created to have a pretty long life, but sometimes they do not last as long as we expect them to last. Most of the quality air conditioners have a life span of about 15 to 20 years, but the life span depends on different factors. Just because the warranty covers the AC unit for some time, it does not necessarily mean that it will last that long. Replacements of AC units can be quite expensive, so you need to take some measures in order to extend the life of your AC. Here are some things that you can take in order to extend the life of the AC unit. Clean your air conditioner regularly. If you do not know who to clean the unit, check out the instructions that come together with the unit. Standard way of cleaning is to use a brush and a hose for cleaning the debris, dirt and leaves that are stuck inside the system. AC coils can also sustain some damage, so be cautious when you clean around them. Also, always turn off the air conditioner before you start cleaning it. Keep the AC cool at all times. It is advisable to plant small plants or bushes between your AC unit and the sun. That way you will redirect the sunlight from the unit, which in turn will reduce its work and increase its efficiency. Cooling vents should be away from your things. Objects like furniture should be kept away from the unit. That way there will be clear path for the air to enter and to circulate around the room. AC unit saves energy if there are no obstacles nearby. Change the AC filters Once per month is the standard time for changing the filters, but how often you change your filters largely depends on how often you use your air conditioner. Condenser of the AC should be kept clean at all times. The condenser is located outside, and it is the cooling part of the unit. Shrubs must be trimmed always, because sometimes lots of debris like grass clippings can enter into the condenser. If you keep the debris out of the condenser, then your AC unit will be way more efficient and you will prolong the AC life. Use additional methods for cooling of your home. You can lower the temperature inside your home if you install shades, blinds or drapes on the windows. Installation of ceiling fans is also advisable, because that way you will improve the circulation of the air inside the room. 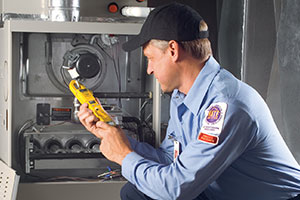 Annual tune-ups of the air conditioner will also extend its life. These tune-ups should be done by professionals, and it is suggested to be done before the start of the summer season. These annual tune-ups are very helpful, because the professionals can quickly detect any possible problems and point out to solutions. That way your air conditioner will run smoothly and efficiently when you need it the most. Share the post "How Can We Extend the Life of the AC Unit?" Air conditioning units are created to have a pretty long life, but sometimes they do not last as long as we expect them to last. so you need to take some measures in order to extend the life of your AC. Posted in Air Conditioning FAQ's, Blog Articles and tagged ac maintenance, air conditioner maintenance, air conditioning maintenance, coral springs, deerfield beach, delray beach, extend life, florida, fort lauderdale, ft lauderdale, hallandale fl, hollywood fl, lauderdale hills, margate, miramar, oakland park, parkland, pembroke pines, plantation, tamarac, weston, wilton manors.